Debates about PBMs can be confusing in large part because their role is generally not well understood, and also because the drug system is so Byzantine. 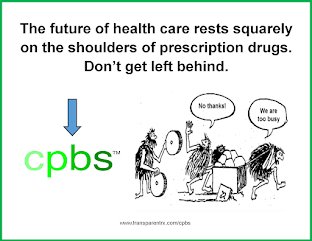 Groups like Express Scripts or CVS Caremark--to name two of the demonized PBMs--negotiate with drug manufacturers to extract rebates for certain drugs in exchange for putting the manufacturer’s drug on an insurance plan’s formulary. If a PBM does not get on a plan’s formulary, the manufacturer loses sales and market share. The Data show that manufacturers need not provide much of a rebate for drugs that are still on patent and have few rivals, but they tend to give larger rebates when they have less leverage in negotiations regarding drugs with several possible substitutes--either generics or simply drugs with comparable effects. It's true rebates can reduce net prices. 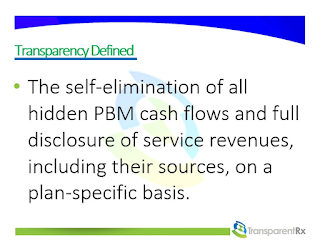 The burden, however, is on self-insured employers to extract those rebate dollars from the PBM and to not allow the non-fiduciary PBM to profit from manufacturer revenue or rebates. Because they tend to be more sophisticated purchasers, insurers are better at keeping rebate dollars than are self-insured employers. How well a PBM performs depends largely on the sophistication level of their clients. If the self-insured employer is unsophisticated, the non-fiduciary PBM and any benefits consultant whose interests are misaligned will feast off hidden cash flow. 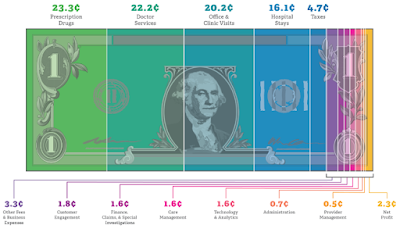 These cash flows are hidden in the employers' final plan costs thus equate to a service.